Jordan Spieth needs a turnaround—he hasn't won since the 2017 British Open, and he's dropped to outside the top 20 in the Official World Golf Rankings for the first time since 2013. If Thursday is any indication, this could be the week to spark a resurgence for the three-time major winner. 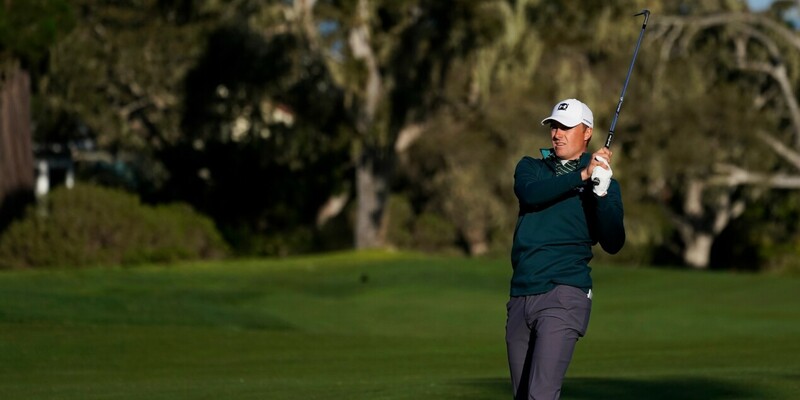 Spieth opened the AT&T Pebble Beach Pro-Am with a five-under 66 at Monterey Peninsula Country Club's Shore Course, matching scores with his playing partner Dustin Johnson. Two other major champions managed one better at the Shore: both Phil Mickelson and Jason Day fired 65s. Spieth shot even par on his opening nine before catching fire on the home stretch. He birdied 10, 12, 13, 16 and 18 to close with a five-under 32 and post 66.